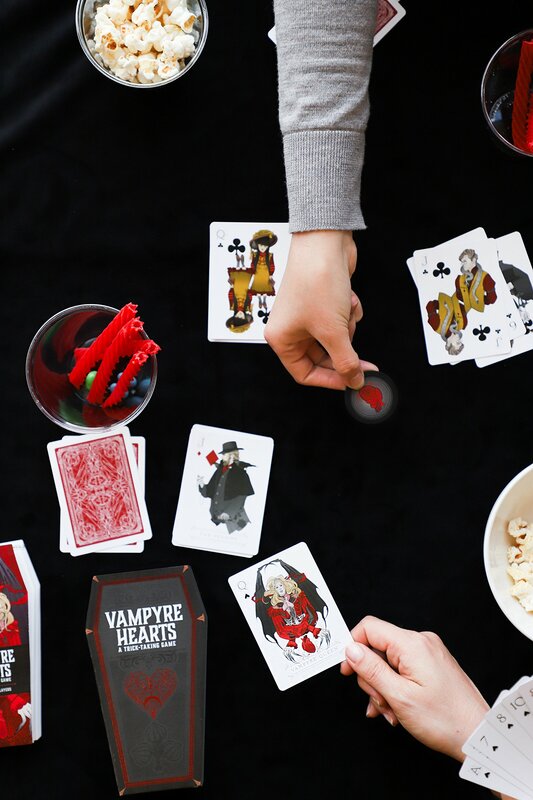 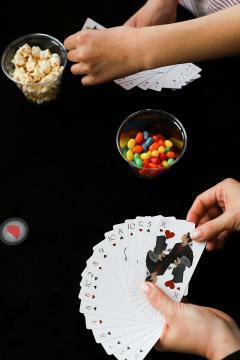 Raise the stakes on the classic game of Hearts in a bone-chilling twist to the trick-taking card game! 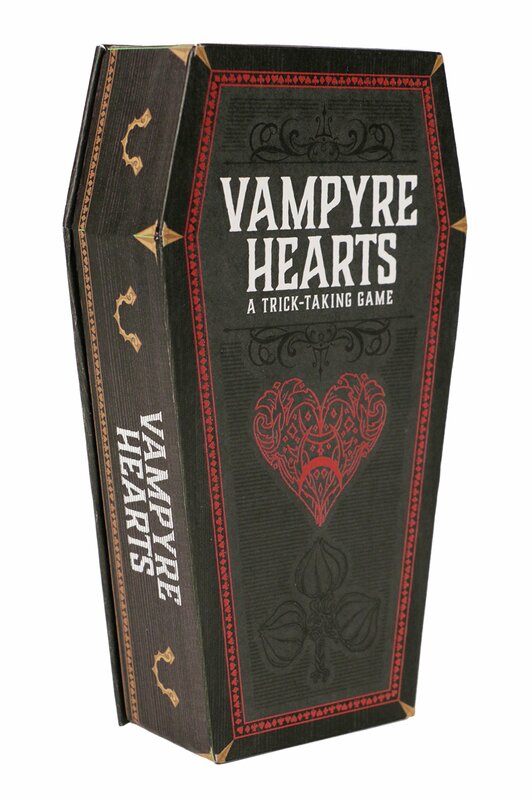 With the Queen of Vampyres hiding amongst your number, her thirst for Hearts may send everyone to an early grave. Can you strike her down before time runs out? 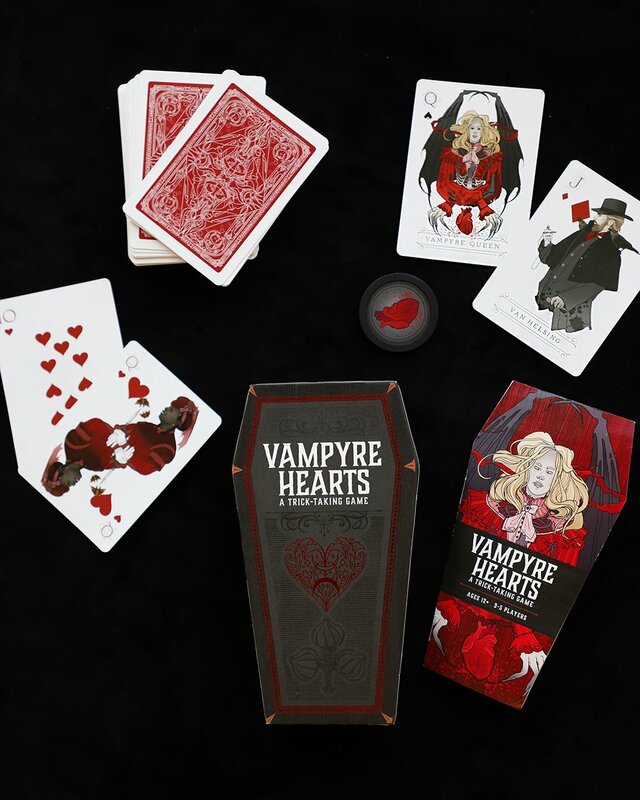 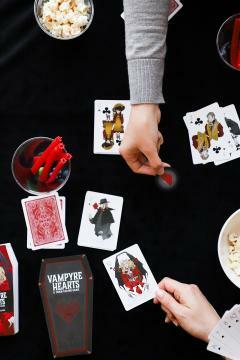 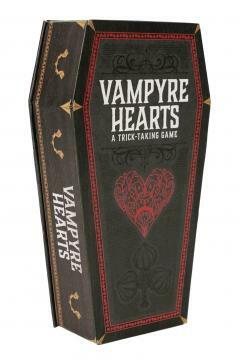 Housed in a gorgeous coffin-shaped box, this set includes a deck of unique illustrated playing cards and rules for standard Hearts play as well as expanded rules and a token for a vampyric variation that adds hidden roles and ulterior motives to the fast-paced classic. 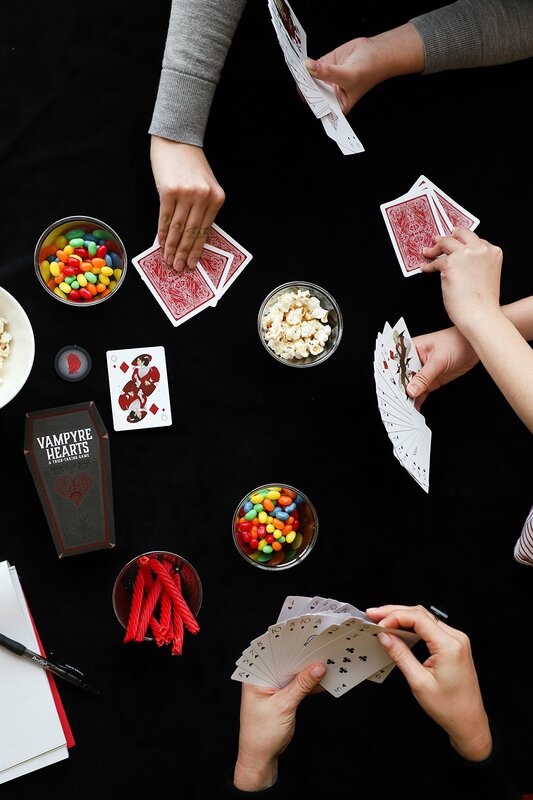 Prepare for a thrilling and bloodthirsty game night for new players and experts alike!